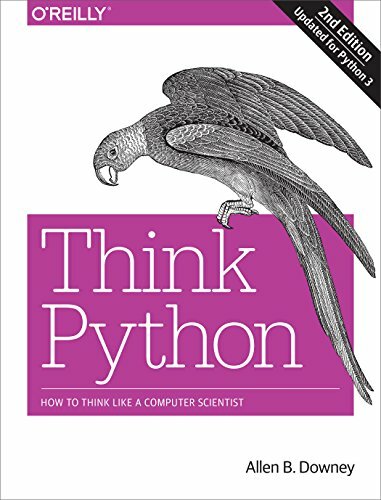 Think Python presents an interesting premise: it will teach you to think like a computer scientist and at the same time, teach you Python. I was especially attracted to this idea as a coder without a computer science degree. I was intrigued by the book and got it after I began learning some Python. However, I really only started reading it after I'd become more familiar with the language and ultimately found it to be too much of a beginner book to hold me interest. Since it deals with Computer Science topics as well as Python topics, some of the basics of computer science that I've learned through coding over the years were just too basic to be interesting. I appreciated that the book had plenty of questions and small exercises and that it was thorough in its coverage of the common terms and ideas involved in writing programs. I wish I had read this book years earlier when I could have taken advantage of the fact that this book really starts from square 1 and does a good job of explaining the terms and concepts integral to programming. For me, this book was just too basic and I lost interest quickly.